The east can be a winter wonderland with endless ice fields, where towns are few and far between, and the northern lights are bright. Wild reindeer roam the land and wildlife such as Arctic char and trout swim in the lakes and wild horses walk the mountains. Small quaint villages with brightly coloured houses hug the coastline, all adding to the region’s charm. The northern lights can be best seen between September and April. Mount Snæfell or Snow Mountain, is the tallest free-standing mountain in the country and is possibly the best place in east Iceland to see the lights. The skies are completely dark with uninterrupted views, and the snow reflects the lights in a most spectacular way. There are no buses to Snæfell, so taking a tour is your best option, especially in the winter when driving in the area can be tricky. Mount Dyrfjöll is not a real mountain, but a rock formation in the middle of an icy wilderness. It offers sweeping views across the landscape from an elevated position. It is a challenging walk though, and you will need good hiking boots in the autumn and winter to prevent falling on the ice. Drive to Dyrfjoll on road number 94. It's between Fjotsdalsherad and Borgarfjordur Eystri and it takes about 3.5 hours to hike to the summit. Breiðdalsvik is one of the longest and widest valleys in east Iceland. 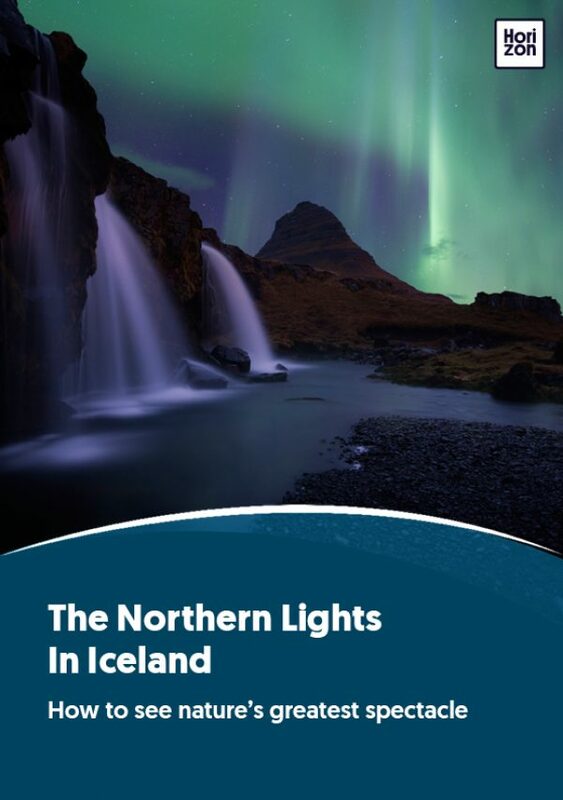 Valleys, much like fjords, create a beautiful landscape from which to see the northern lights. But this is a wilderness and you will need an expert guide. Although remote and difficult to find, the main village of the same name has hotels, coffee shops, restaurants, and one of the country’s first co-operative shops, founded in 1883. Flights go from Reykjavik’s domestic airport to Egilsstaðir, and the village is located a 1-hour drive from the airport, or a 7-hour drive direct from Reykjavik along Highway 1. This is an uninterrupted wilderness offering truly amazing landscapes unlike anything to be seen anywhere in the world. There is no light pollution to spoil your view of the lights, and for the more adventurous there are high mountains and cliffs which will get you front-row seats to the show. However, being as remote as it is, the region can be expensive to get to, and few specialised tour companies operate there. It is also difficult to travel around without 4x4 vehicles. And don’t expect lively nightlife--there are few settlements consisting of more than clusters of houses. Hiking: there are many trails and routes for people wanting to get close to the region’s great outdoors, some of which can be done without a guide. But, be careful during the winter months. Alternatively your tour operator will organise a guided route, with equipment provided. Fáskrúðsfjörður settlement is one of the eastern-most villages in Iceland with a population of fewer than 1,000 souls. Interestingly, the village was originally settled by French fishermen. They built their own houses and harbour, even a hospital, which would meet their needs while they were there to fish. There is still a French flavour to the place and the old hospital is now a hotel--which, according to some locals, is haunted. Papey Island is tiny and magical, and a must-see. A boat out to the uninhabited island is not to be missed for the wonderful views and the wildlife during the summer. Depending on the time of year, you might see seals, puffins, guillemots and other seabirds. But be warned, the ride can be bumpy, and there’s a good chance of getting wet!